In 1896, postage stamps issued from 1885 were overprinted with JUDICIAL in black. Assumed to be used at a Magistrate Court in Kuala Lumpur, either on 3rd, 13th or 23rd of June 1901. 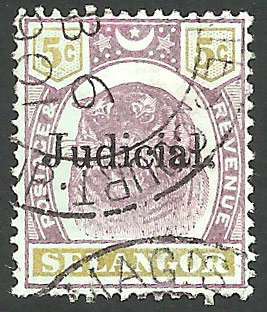 Catalog information not found in Standard Catalog of Malaysia, Singapore & Brunei - Revenue Stamps & Postal Stationery. Depicting tiger's head, assumed as Malayan Tiger. 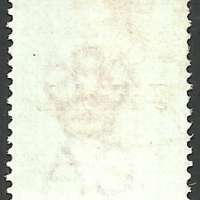 The stamp has been removed properly and Crown Watermark can be easily seen.